This rest of the soundtrack will be recorded by the il Troubadore Klingon Music Project which is a side project of my world music ensemble, il Troubadore. 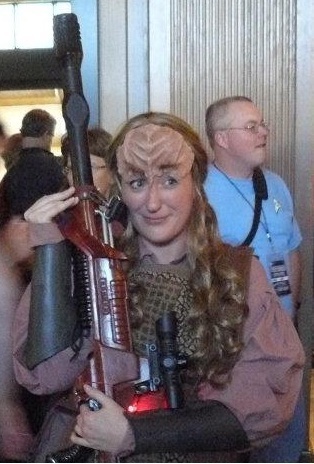 A Klingon does not delay a matter of honor! And neither does a composer! 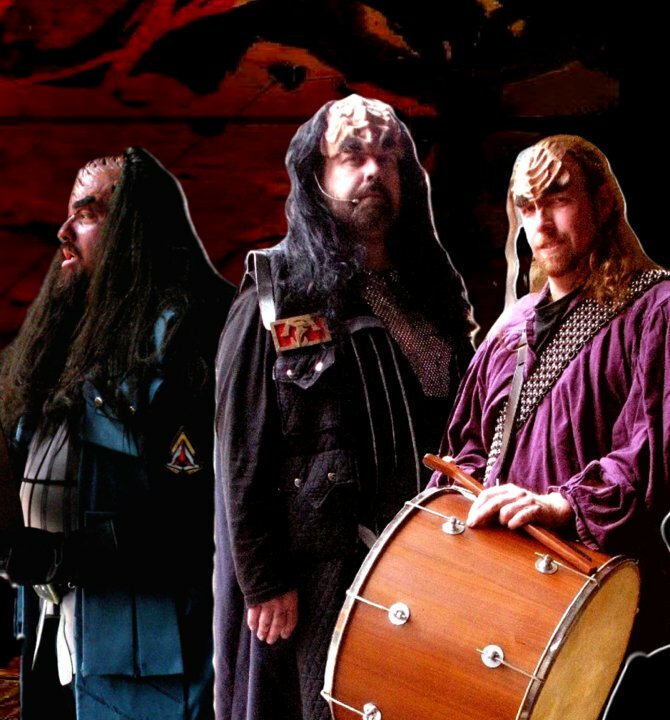 As I’m recording guide tracks for the rest of the members of my Klingon band (surely any reader of this blog knows I have a Klingon band, right?) for our soundtrack to Commedia Beauregard’s production of “A Klingon Christmas Carol” I’m actually coning up with vocal lines in my head to fill (or amplify) the melodic gap(s). This is an infinitely rewarding process, and I really have no idea if other composers feel this way, but being able to create a score in a very particular style is first, a challenge; and second, invigorating as I actually have to create (using what feeble resources for this style of music exist) something in a style that Klingons would actually use or do. There are actually quite a variety of examples and precedents for this, and none of them particularly consistent (if we’re strictly speaking of ‘canon’ material from the series and movies in the franchise). 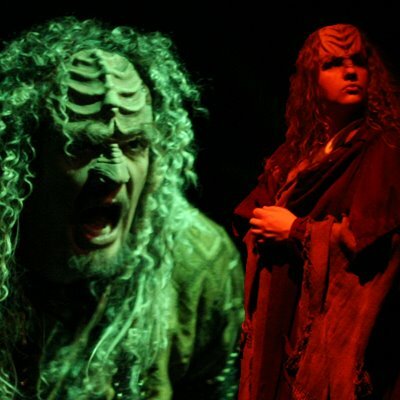 How to make sense of the pluralistic enterprise that constitutes Klingon music is at best an ad hoc affair as Mark Okrand (the ultimate canon source) has said very little about Klingon Music that is particularly helpful in re-constructing it. At the same time, I think my musical instincts are particularly sharp for this kind of work, if only because I have a healthy knowledge of the variety of sources I can draw from all over the world. Whether it be Western Classical, or Azerbijani Mugham, or Chinese Opera, or American Experimental and Noise, I’ve done them all to some degree. In some cases I’ve “composed” (or at least am moderately proficient in improvising) within these disparate genres. While there may exist plenty of other examples of this music outside of canon (Stovokor, The Klingon Terran Research Ensemble, Kosmic Horror), I’ve found so much of that material ‘missing the point’ and would like to think that I don’t do that. I hope to turn all of these tunes for into actual vocal tunes for a possible CD release in the near future, but for the play they will be primarily instrumentals. I don’t really want to make this a long post, but wanted to make it a point to post a blog post every day this month as I believe it is National Writer’s Month. Though I did miss the first day, I hope to continue this streak for every day of the month of November. As it is a busy month for me, I think that won’t be a problem to do!